Are you considering buying or selling real estate? Entering into a lease as a landlord or tenant? 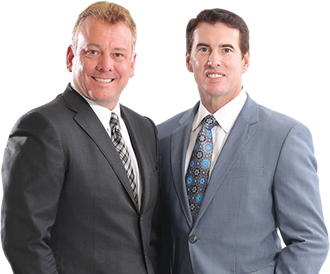 BCN Law Firm Attorneys are here to guide you from reviewing contracts and insurance to actually doing your closing. Have a lawyer help you can actually save time and money when compared to working with traditional sources. Our real estate clients come to us from The Villages® community, Wildwood, Bushnell, Sumterville, Lady Lake, Summerfield, Belleview, Leesburg, Fruitland Park and surrounding communities. However, we can provide real estate services anywhere in the State of Florida. Whether you are a developer, buyer, seller, we are here to assist you no matter how simple or complex your transaction or development project. Having an attorney by your side may help reduce your real estate property taxes, make sure your investment is protected, and ensure all documents and contracts are reviewed and completed with your best interests in mind. We also represent landlords and tenants in commercial, industrial and residential settings. When necessary, we will appear before zoning and planning boards and governing bodies on behalf of our clients. BCN Attorneys are experienced in litigating real estate and land use issues in the trial and appellate courts.